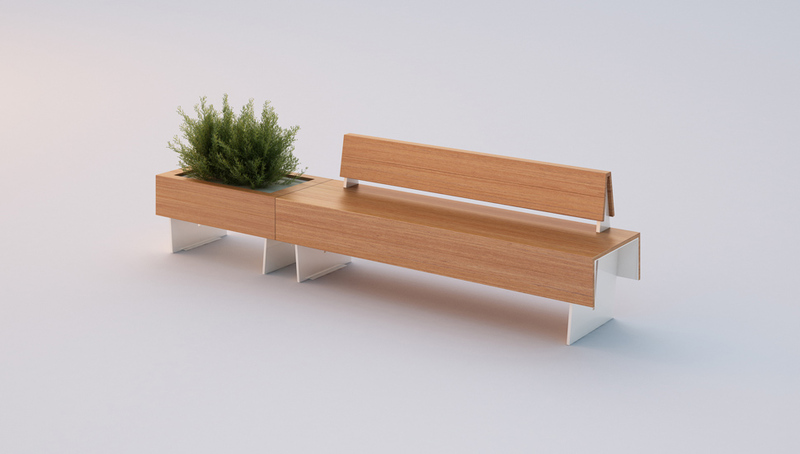 Clean and essential shapes designed coordinated system, composed by seats, benches and planters both single and double. Designed for linear continuous configurations. Painted steel structure; okumé timber seat and cover elements.